This week we’re focusing on bourbon. Now, this is a bit of a delicate matter for me. 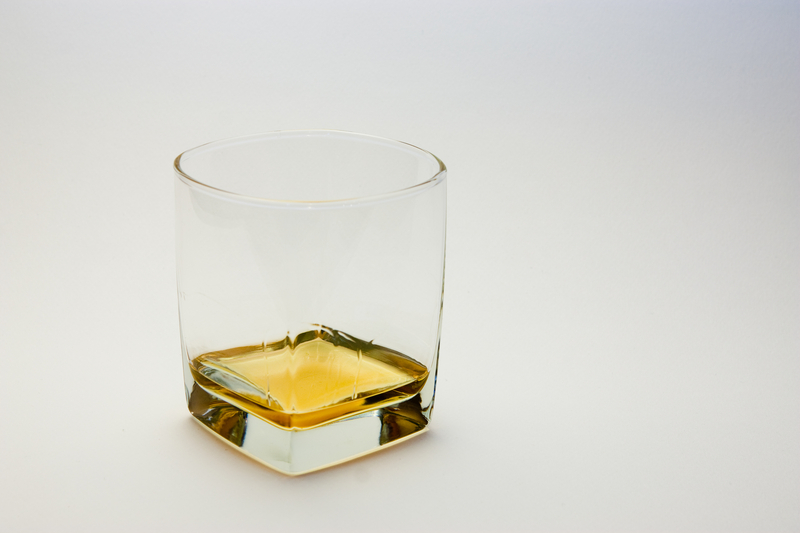 Whiskey was the first liquor that I was ever really introduced to. I learned the ropes with whiskey, specifically bourbon. I tend to like the higher quality bourbons (Bulleit, Woodford Reserve, Makers Mark, etc.) However, all of these tend to run a little bit higher than the liquors we’re featuring this year — under $25 for a 750 ml bottle. This one has gotten me some strange looks over the past year since I discovered it, but I still stand buy it. For your best-buy-booze this week, we’re featuring Jim Beam. In my mind, Jim Beam has gotten a bad rap among the cocktail crowd. It’s a mainstream hit, and certainly isn’t the most… refined of bourbons. However, the standard Jim Beam is one of the best mixing bourbons on the market, for one of the best prices. It averages $12 for a 750 ml bottle retail. Jim Beam is the flagship product of the Jim Beam distillery, founded in 1795, and family operated for seven generations. It was given the name “Jim Beam” in 1933 after Colonel James B. Beam, who rebuilt the business following Prohibition. When you take a sip, you’re savoring a bourbon that has been produced essentially the same way by the same family for more than 200 years. Isn’t it good to know some things never go out of style? Sweet with a distinct hint of barley and corn mash on the end. Nice balance, if not as tempered and mellow as some of its competitors. Very similar to neat. A good sweet flavor, but still a bit harsh on the end. This, however, is what makes Jim Beam the ideal mixing bourbon for cocktails. 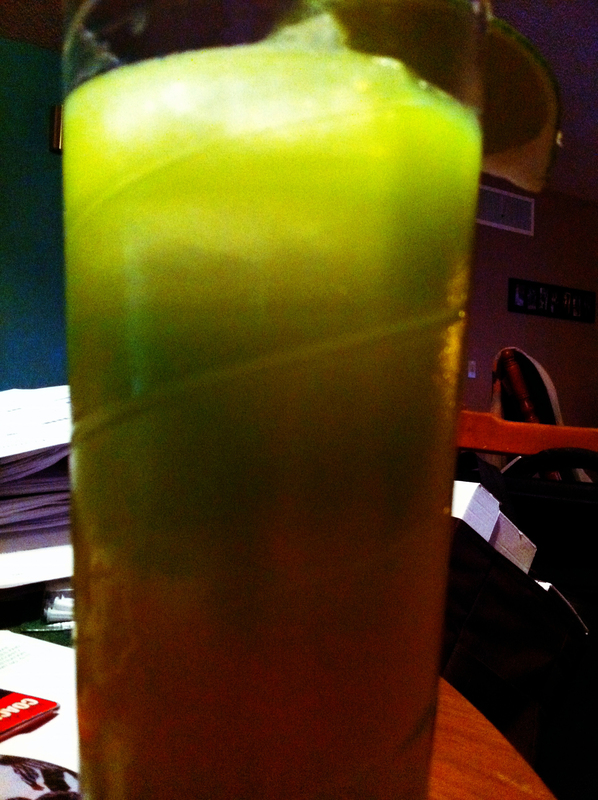 Mix all ingredients except the curacao in a tall glass with ice. Float the blue curacao on the top, garnish with a lime wedge and serve. It has a nice, citrus flavor that’s given some weight on the end from the bourbon. It’s a bit “sorority girl” but I do actually enjoy it. 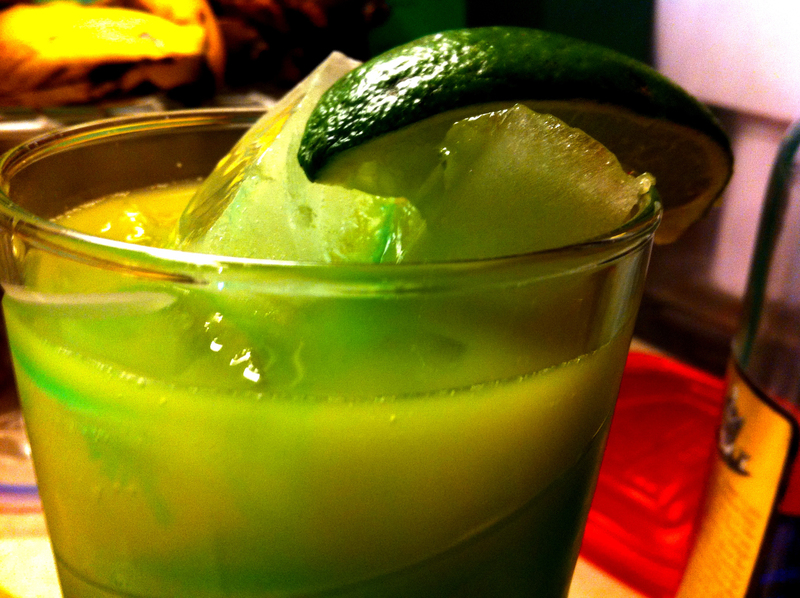 As you drink it the, the blue curacao begins to mix with the orange juice, creating kind of an off-green color. Hence the name Kentucky Swampwater. A bit too… college… for my taste, but really not that bad. The Kentucky Swamp Water could easily be a Tiki Cocktail. I”ve been tasting Bourbon Tiki Cocktails lately, and they are really good. It’s amazing how great Bourbon and fruit juice go together to make some really complex flavors. I’m more of a rum person. It’s great to know Jim Beam can be used in mixed cocktails. Great post! I completely agree. It still surprises me how well certain things go together when you wouldn’t expect them. Bourbon is a lot more versatile that a lot of people give it credit for.